Major body redesign including bodyside coves that permit two-toning. Roll-up windows replace side curtains and seat belts now available. 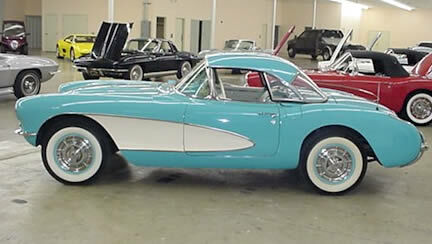 Factory lift-off hardtop available for first time on 1956 Corvette.